With motorcycle ownership on the rise in Tampa and all of Florida, motorcycle accidents are also increasing, and so is the need to maintain safe driving habits. According to the Insurance Information Institute, from the late 1990’s to 2008, motorcycle crashes and injuries increased more than two-fold, and Hillsborough County had one of the highest numbers of motorcycle fatalities in 2009. However, any experienced personal injury lawyer in Tampa knows that these statistics don’t mean motorcycle accidents are inevitable, and there are many steps you can take to reduce your chance of being involved in motorcycle accidents and even to reduce the severity of one if you are involved. Always look twice – It’s easy to miss a motorcycle with a quick glance to your blind spot. Always make sure to look twice when changing lanes and turning to avoid pulling out in front of or changing lanes into one. Signal lane changes and turns – To hedge your bets with crash avoidance, be sure to always signal your movements at least a few seconds before making them. This gives the motorcyclist a heads up so that they can avoid your car. Avoid letting motorcycles stay in your blind spot – While any motorcycle rider should know better than to stay in a car’s blind spot, if you find one hovering in yours, try to speed up or slow down to get them into a more visible location. It can be easy to forget that they’re there when you’re changing lanes. Leave room – When you’re behind a motorcycle on the road, always leave extra room between your car and their vehicle. Motorcycles are much more agile than cars, and you will want to be sure that you have enough time to stop. Be aware of potential “danger zones” – Some roads in Tampa make it more difficult to drive with motorcycles, but if you note these areas ahead of time and take extra precautions, you can reduce risk. For example, if your drive to work involves a short on-ramp onto 275, giving you less time to merge with traffic, look extra carefully into oncoming traffic to make sure that the “open” spot for merging isn’t actually occupied by a motorcyclist. Even if you follow all of these recommendations, it’s still possible to be involved in a motorcycle accident. If you have been in a crash that included a motorcycle in Tampa or anywhere in Florida, then contact an experienced personal injury lawyer today. 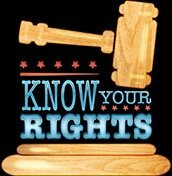 They can help you understand your rights, as well as represent your interests to ensure fair treatment.